One meaning of intuition is “something that is known or understood without proof or evidence.” Given that definition, it’s not surprising that objectively studying and measuring a counselor’s intuition can be challenging. But that hasn’t stopped Jesse Fox from trying. In 2013, as part of research Fox was doing for his dissertation, he set out to observe and track counselor intuition, a concept that he defines as rapid, nonconscious insight into what is going on in a client’s mind or behavior. Fox, an assistant professor in the Department of Pastoral Counseling at Loyola University Maryland, says counselor intuition is a little like breathing — more automatic than it is controlled. The result? Fox says intuition was apparent in the way that the counselors leaned collectively toward certain directions to take with each client. 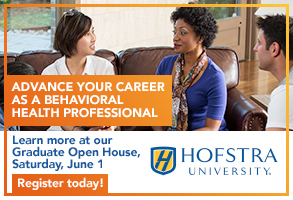 “The best way that I could say [it] is that there was substantial common perspective that [the counselors] brought to those sessions,” says Fox, a member of the American Counseling Association who presented a poster session on his research at the 2015 ACA Conference & Expo in Orlando, Florida. Fox, who is in the process of submitting his research for publication, believes his study is the first of its kind to go beyond counselor self-reports in an attempt to look at intuition in a more scientific manner. By looking at the study results and the like-minded way that the counselors responded to the clients in the videos, Fox believes it is possible to “see” counselor intuition taking place. Additionally, he wanted to contribute to the study of intuition a standardized set of scenarios that could be given to any counselor to study his or her intuitive reaction. Despite the standardized nature of the client video segments and the resulting similarity in the counselors’ reactions in Fox’s study, he is careful to point out that he isn’t claiming that no variation exists between counselors after they reach a certain level of experience. “What I am saying is that there certainly does seem to be some substantial commonality that people develop over time that helps to guide them toward good and bad directions to take,” Fox says. Some of the original research on intuition was done with chess players half a century ago, Fox says. What researchers found was that chess masters “see the board differently,” he says. Whereas novice players might need to think through a decision tree of outcomes, master players instinctively know the right move based on the information they have stored up over past years. “It takes you time to develop expertise, and what you’re doing during that time is you’re beginning to recognize certain patterns that come up,” Fox says. “So if you took those findings and you applied them to counseling, what’s happening probably is that as people practice therapy, they begin to recognize certain patterns of clients that come to them.” Master counselors, just like master chess players, can identify those similar patterns and make decisions based on what they instinctively see, Fox says. Still, Fox and Hagedorn acknowledge that the use of intuition in counseling is not without controversy. Some critics question intuition’s very existence on the basis of its subjective, self-reported nature. Others maintain that counselors should not rely on intuition because human judgment is flawed and people make mistakes, Fox says. Regarding the use of theory versus intuition in therapy sessions, Fox thinks counselors should strive for a combination of both. Theory gives practitioners a guiding framework from which to work, but counselors should simultaneously seek information that comes from assessments and the counselor’s experience or intuition, he says. Counselors interested in developing their intuition can work toward greater awareness of their “gut moments,” Fox says. When counselors feel their intuition kick in, they should become conscious, skilled observers and take the time to “unpack” those situations, he suggests. “When you experience intuition, investigate it,” Fox says. Unfortunately, no shortcut to honing intuition is available, Hagedorn says. “Outside of gaining more experience, interacting with seasoned clinicians, journaling, recording their sessions and seeking supervision, it can be quite challenging to create intuition in the short game,” he says. Fox offers two book suggestions for counselors looking to develop their intuition: Educating Intuition by Robin M. Hogarth and Intuition: Its Powers and Perils by David G. Myers. Counselors should avoid going to either extreme on the intuition spectrum, instead shooting for somewhere in the middle, Fox says. If the intuitive, human element is removed entirely, then it’s no longer therapy, he emphasizes. But on the other hand, it wouldn’t be wise for counselors to rely solely on their intuition in every situation, he says. Counselors should always strive to pull from more than one source of information, Fox says, whether that second source is supervision, consultation, assessment or something else. To further explore how and why counselors integrate intuition into their work with clients, Counseling Today asked a handful of leaders in the field to weigh in with their views. Responses have been edited for length and clarity. Richard S. Balkin is a professor and assistant chair in the Department of Counseling and Human Development at the University of Louisville and the editor of the Journal of Counseling & Development. How do you define counselor intuition? The definition that makes the most sense to me is “knowing without knowing,” and it came from a writer for The New Yorker, Malcolm Gladwell. In other words, you have an understanding about an event, phenomenon or experience without having gone into the reasoning and formal process of learning about the phenomenon, event or experience. In what ways can intuition help the counseling process? Intuition is most often aligned with the counseling relationship. When the counselor knows the client, being intuitive may become second nature. With a strong working alliance, the client may feel more comfortable with feedback, even if it is confrontational, due to the trust and the feeling that the counselor understands. Can counselors hone their intuition? How is this developed? I often go back to my nearly 40 years of martial arts training — time on the mat. When you know without knowing, it is often because of the experience in working with clients and trusting yourself as a counselor. [Rhonda] Neswald-Potter, [Shawne] Blackburn and [Jamie] Noel talked about this as professional self-concept [in a 2013 Journal of Humanistic Counseling article], and I think it aptly applies. Why is the topic of intuition sometimes controversial in counseling? “Knowing without knowing” flies in the face of the accountability movement and the focus on empirically supported treatments. We know the relationship and intuition are the most important elements in counseling. But these components are difficult to investigate empirically, whereas treatment approaches lend themselves to empirical investigation much more readily. Ultimately, we end up spending more time on elements that affect very little variance in terms of counseling outcomes, as opposed to concepts like intuition, which are tied more closely to the counseling relationship. How should counselors balance the use of intuition with the use of more objective interventions such as assessments? Both are needed. We live in an era of accountability and where our ethical code mandates the use of interventions based on rigorous research methodologies. Intuition alone does not suffice, but of course it is a naturally occurring phenomenon within the counseling relationship. There are times when objective assessments provide important and valuable information that the counselor might otherwise miss. However, such assessments are not error-free, and counselors should utilize their subjective insights to complement or confirm what is identified objectively. Objective assessments are a nice check and balance to counselor intuition, but counselor intuition is also a nice check and balance to objective assessment. Jeff L. Cochran is a professor of counseling at the University of Tennessee and president of the Association for Humanistic Counseling, a division of ACA. He is also co-author, with Nancy H. Cochran, of the book The Heart of Counseling: Counseling Skills Through Therapeutic Relationships. I think of counselor intuition as the counselor’s ability to make informed responses in the moment in therapeutic relationships. This can mean hearing a client’s emerging communication and responding to that, even when the counselor is not sure of [the] correct understanding. A counselor does not often have time [to] evaluate what her client is communicating; rather, she has to respond with her hunches. With that said, there is also a necessary balance. I encourage students and beginning counselors to learn to wait. A first-hunch intuition might not be right. It’s best to have the hunch, realize it and set it aside. Then see if it persists [and] continues to feel right. Does intuition take time to develop? 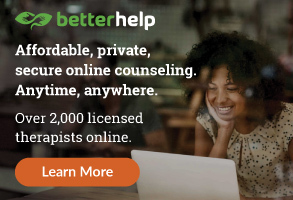 Beginning counselors often understandably hold back, at times too much, in [the] therapeutic relationship, which can make one hard to connect with. I work with beginning students to listen to recordings of sessions. I ask them to state their first impressions of how they might have responded, then evaluate how that in-the-moment response might have worked. Counselor intuition comes from within and from without. I think each counselor works from her own “n of 1” example for understanding the world. I’m OK with that as long as the counselor’s view of self and the world is continuing to develop through open self-reflection, through listening well to her or his thought patterns, and attending to and finding meaning in feelings. Self-reflection can inform a counselor’s intuition well if the counselor’s experience is considered through working toward unconditional positive self-regard, allowing her to see her experience most closely to what it really is, and [self-reflection] can tell her about self, others, the world and persons in relationships. And, importantly, counselor intuition is developed through study. 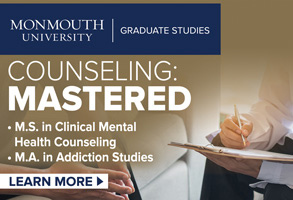 Through initial graduate study and ongoing life as a scholar, counselors study a range of counseling theories, with each carrying its own view of human nature, how we develop, what drives our problems and how we make significant life changes. 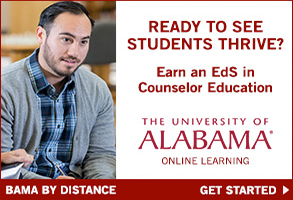 Each counselor becomes [an] expert in one to a few theories and knowledgeable of others. And each counselor becomes [an] expert in the populations of persons that they serve and the problems commonly faced by those persons. So, when the counselor has to make decisions of how to respond in sessions, based on her hunches of what is going on with the person of her client, her intuition is informed by the meaning she has made of her own life experiences and by what she is continually learning as a scholar [and through] human nature and change. Counseling is research based, but it is not a science. We can know the factors of [the] therapeutic relationship that predict positive counseling outcomes. But we also want to think of counseling as a definitive science, where the only answers needed are to the question, “What techniques lead to what outcomes for what populations with what problems?” But the work is actually much more subtle than that. It’s all about the relationship, and there are many unknowns that we have to feel our way through with intuition. Is intuition important for clients too? Often, what clients get out of counseling is self-awareness, regaining trust in the value [of] listening to one’s own experience, which can be thought of as intuition. Many of the clients I served had given up their view of self in favor of how others see them or how they imagine that others see them. Many of the clients I served had come to doubt their own experience. But helping them rediscover and respect the intuition of their own experience didn’t usually come from the obvious route of pointing out that need. In hindsight, it was the counseling process — me following what I hear in my client’s self-expression and responding as a person in the moment, informed by years [of] scholarship and careful self-reflection — that led us both to my client’s newfound intuition and trust in self. 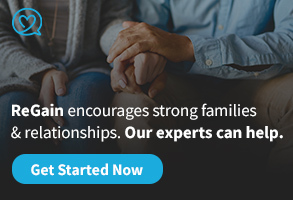 Secure, early attachment will allow the counselor to be safe enough to trust the counseling relationship, and thus easily build therapeutic rapport. Once that is accomplished, psychological resonance will occur more often, and the client and the counselor will together solve problems easier with both “heads” offering solutions. If a counselor does trust his or her judgment and intuition, the longer counseling is practiced, the stronger this intuition becomes. The vagus nerve is the 10th cranial nerve and the longest nerve in the body. This nerve begins at the base of the medulla oblongata and ends at the abdomen. The vagus nerve takes in so much information from so many sources and senses, it was named from the word “vagabond,” as it wanders throughout the body. This [nerve] offers the counselor, and the client for that matter, invaluable and rich communication about many possible thoughts, senses and emotions. The DMN in the brain consists of the posterior cingulate, precuneus, cerebellar tonsils, bilateral temporoparietal junction, medial prefrontal, bilateral superior frontal, inferior temporal and parahippocampus. This network has many functions, but one of the main functions is to allow us to introspect and retrospect. If we are relatively healthy and regulated, the DMN helps us understand the world of self and others. This network helps us to mind-wander and create better understandings about our clients from this wandering and being “offline” for a while. Counselors can hone their intuition by understanding there is top-down and bottom-up communication in the body. The brain informs the body — top-down — and the body informs the brain — bottom-up. These electrical and chemical impulses send messages about the world around us. Understanding that our physiology gives us those hunches or intuitive feelings may allow counselors to be more in tune with those emotions and sensations. Counselors have to listen to their brains and bodies. Can you share an anecdote about intuition in your work as a counselor? Recently, a student supervisee did not show up for a very important meeting pertaining to his future. The student supervisee was typically very punctual. I waited patiently for over 20 minutes. After I returned back to the university, something just didn’t feel right. I listened to my intuition, my body and years of counseling. I began calling around and could not get in touch with this person. I finally called the campus police and asked them to begin a search. Finally, the person was located and had overdosed. Because of my intuition and working with other available resources, a life was saved. Many helping professionals believe intuition is just a soft science, much like the old days of counseling. Today we know that counseling is not a soft science, as counseling does change the function and structure of the brain. The advances in EEGs (electroencephalograms) and brain scans have demonstrated those changes. Now that we also understand the function of the vagus nerve and the DMN, the implications to social connectedness and our social brain, it may not need to be as controversial. Assessment and intuition need not be in competition with one another. Both are necessary to a complete evaluation of the client’s needs. Quantitative and qualitative measures, whether that be in the form of self-reports, standardized tests or physiological impulses, are all essential to successful outcomes and efficacious counseling treatment. Jeffrey Kottler is a professor of counseling at California State University, Fullerton, and the author of several books that explore the counselor’s experiences with intuition, including On Being a Therapist, On Being a Master Therapist and The Therapist in the Real World. One way to think about intuition is that it represents internalized experience. It’s a shortcut to solving problems, selecting courses of action or interpreting the world or one’s own experience based [on] cognitive templates that are developed over time. It is an ethereal or mysterious phenomenon precisely because words can’t really touch what it feels like. How is intuition important in the counseling process? Intuition is a felt sense, an inkling, sometimes felt in the body, sometimes in the heart or mind, that represents one possible interpretation of events or experience. As such, it is a hypothesis that is usually subject to testing and confirmation. I sense that a client is uncomfortable with what is transpiring in the moment, but if I stop and try to explain how and why I know this, I feel at a loss. Observable behavior is not yet apparent, except on a preconscious level. Such initial thoughts and feelings, if not supported with some other evidence, can indeed be problematic, or even dangerous. Calibrating one’s intuitive powers comes with systematic experimentation, making the sense more attuned and accurate after processing honest feedback. Intuition sometimes leads to breakthroughs in ways nothing else can touch. Our field has traditionally been dominated by older, white, male theorists who worship logic, rationality, empirical verification and objective data. Of course, this is critical for scientific advancement. But in actual practice, we also rely on hunches, inklings, images and internal feelings that sometimes offer clues that would be inaccessible any other way. Likewise, if these feelings are based on personal biases, distortions, exaggerations or one’s own needs, then counseling can become self-indulgent and not in the client’s best interests. Intuitive powers are developed over time, with reflective experience, systematic assessment of accuracy and explorations into alternative domains that bypass mere language. The difference between beginners and veterans is that those new to the profession haven’t yet accumulated sufficient experience to know whether their feelings or hunches are targeted or appropriate yet. But with practice and commitment, all of us learn to be more responsive to others without needing to explain or interpret how the process actually happened. I was doing trauma work in Nepal after the series of devastating earthquakes that occurred last year. A man in his 80s wanted to talk to me about something that was bothering him. It was explained to me by a relative that although he wasn’t physically injured as so many others were, he was still very anxious. The challenge was that he was escorted into my “office” — a schoolroom that was one of the rare buildings still standing — and didn’t speak a word of English. My Nepali language skills are feeble, and my translator left to help treat another patient. So we just sat there and stared at one another for a few minutes until I felt this really strong energy between us. I couldn’t get the idea out of my head that he wanted to hold my hands. Now it’s entirely possible that this was my feeling rather than his, but I nevertheless reached out to hold his gnarled hands in my hands. We just sat like that staring into one another’s eyes and holding hands. He kept talking to me, telling his story, and I kept nodding even though I could only understand a few words he was saying. When the session was over, we stood up and hugged one another. He wouldn’t let go. I have no idea what actually happened between us, but it felt miraculous. When I have intuitive experiences like this, I deliberately try not to explain what happened. I learned from shamans long ago that sometimes when you make sense of experiences, you destroy their magic. I don’t agree that it is controversial. I just think it is misunderstood. Intuition is simply a thought, feeling, image, sensation or hypothesis that isn’t — yet — supported by more tangible evidence. It is just a starting point that must be checked out. It is ill-advised when people trust their intuition without assessing the accuracy or combining it with standards of care. Catharina Chang is a professor at Georgia State University and the president of the Association for Multicultural Counseling and Development, a division of ACA. Counselor intuition is the counselor’s ability to connect with her client and to understand her client at a level deeper than the spoken words. Counselor intuition guides the counselor to act in a certain direction with her client. 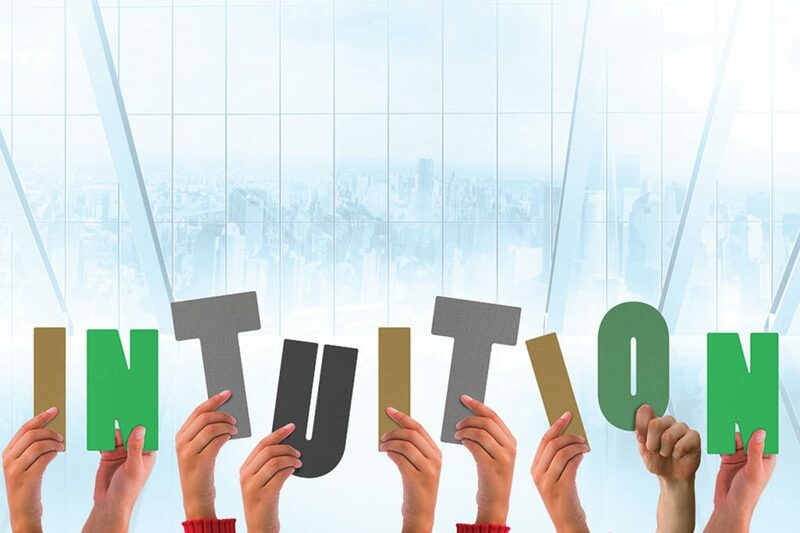 Counselor intuition can assist counselors in case conceptualization as well as helping the counselor decide how to move forward with the counseling process. I believe you either have intuition or not, but if you do have intuition, you can further develop your intuition. Some have asked whether counseling is a science or an art, and it’s both. Effective counselors understand the science behind good clinical skills, while respecting that the art of counseling is also important. Intuition is a part of the art of counseling. One’s intuition, I believe, comes out of your past experiences and knowledge, so it can be developed and fine-tuned. Counselor intuition allows the counselor to bring herself into the counseling process. From a legal and ethical standpoint, we want to be able to quantify everything, and intuition is something that can’t be quantified — which is why it’s important to follow your hunches/gut/intuition but be able to also back up that hunch with specific details. Both are important to be an effective counselor. Intuition helps us know when and where to probe deeper, thus assisting us to gain more concrete information. I like that you mentioned that both intuition and assessment come into play when you meet with counselors. I think when you find someone who can balance both and use both effectively you want to stick with that counselor. I would love to try and get some help through this medium. Thanks for this interesting and clinically relevant article. In light of the subject, I thought some readers may be interested in a couple of articles we wrote a number of years ago. Faiver, C., McNally, C.,& Nims, P. (2000). Teaching a course in creativity and intuition. Journal of Humanistic Education, 38(4), 220-229. Eisengart, S. & Faiver, C. (1996). Intuition in mental health counseling. Journal of Mental Health Counseling, 18(1), 41-52. I have been doing research for two days on Clinical Intuition (Clinical Basis) for a school discussion. In those two days I gather quite a bit but I was not sure I still completely grasped it until your article. The definitions and opinions really put this topic in perspective for me. I now understand that intuition and evidence needs to work together in order for a counselor (along with the client) to give their client the best possible assessment and treatment plan they can.